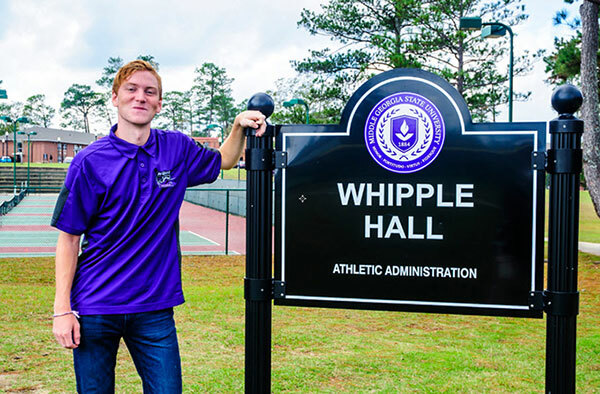 International student Rasmus Arousell recently was named by the College Sports Information Directors of America to the District 1 Academic All-American team. Full Name: Rasmus Karl Mani Arousell. High School: Solna Gymnasium, where he played soccer. Degree Objective: Bachelor of Science in New Media and Communications. team. Members must have at least a 3.30 GPA and play in the majority of their team's games. His favorite place to study is … "My room." third-grade class for almost a year." and ask what color it is, even things that are black and white." The one person he'd most like to meet is … "Ronaldo, the best soccer player who ever lived."